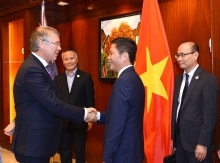 Da Nang City People’s Committee Chairman Huynh Duc Tho said APEC Week 2017 will attract leaders from the forum’s 21 member economies and thousands of official delegates, foreign journalists and representatives of leading businesses. The week will include an APEC CEO Summit, a dialogue between APEC leaders and the APEC Business Advisory Council (ABAC), and an economic and foreign ministerial meeting, among other events. Tho said Da Nang has been preparing for APEC 2017 since late 2014. 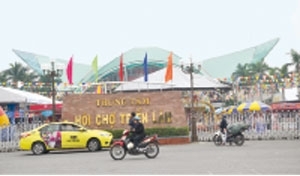 The city has renovated and refurbished pavements at a total cost of more than VND212 billion, planted trees, transformed the city’s trade fair and exhibition venue into a media center, improved the Tien Son Sports Palace, built a sculpture garden featuring symbols of the 21 member economies at the East Sea Park. The 16,644 square meter Ariyana Danang Exhibition & Convention Centre (ADECC), with a 2,500-seat meeting hall, is well prepared for the upcoming APEC meetings. In addition, in June 2016, Da Nang began building a VND150-billion tunnel, 256m long and 7.5m wide, east of the Han River Bridge, to relieve traffic congestion. The project is expected to be completed and put into use in April 2017. Reporting to Deputy Prime Minister Pham Binh Minh on the preparations for APEC 2017 meetings, Da Nang People’s Committee Deputy Chairman Nguyen Ngoc Tuan said that such projects as the conference center and the Da Nang International Airport upgrading have been implemented on time, many roads have been improved and trees have been planted along different routes. The Ministry of Information and Communications has also joined the preparations. On December 1 and 2, the ministry held workshops in Da Nang on journalism skills, including getting and providing information related to APEC 2017 events. 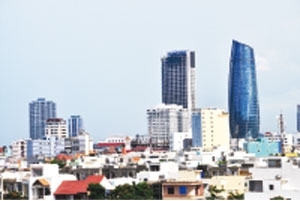 Da Nang’s electricity industry and Power Transmission Company 2 are focusing on improving power projects to ensure electric power security for APEC events, as well as for regular production and trading activities and people’s daily lives in the city. 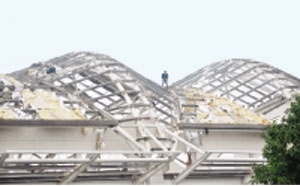 The Ministry of Transport is providing guidelines for the Da Nang International Airport upgrading project to ensure it meets appropriate standards to welcome state leaders. The APEC Week 2017 organizing board has set aside 13,000 rooms for guests at the city four- and five-star hotels and resorts.